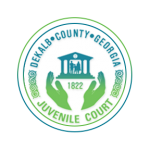 This Privacy Statement addresses the collection, use, disclosure, and security of information that may be obtained from DeKalb County through the use of the visiting the county’s websites. The links made to other DeKalb County web sites. This information is collected for statistical analysis using third-party or proprietary software programs to create summary statistics. The statistics are used for the purpose of determining what information is of most and least interest to all visitors and for identifying system performance issues or problem areas in order to better plan future web site enhancements. This information is not collected for commercial marketing purposes. If you choose to share personal information with us, that information is available only to county employees who provide a service related to your correspondence. Access is given to those qualified professionals who are assigned the job of providing county services consistent with your interactions with the DeKalb County website. Depending on the specific service or transaction, DeKalb County may share personally identifiable information amongst its agencies in order to provide such service or complete such transaction. Information collected from the DeKalb County website is considered public information under the Georgia Open Records Act O.C.G.A. 50-18-70 et seq. Visitors should be aware that information collected through the portal may be subject to examination and inspection, if such information is a public record or not otherwise protected from disclosure. The DeKalb County web sites may occasionally use “cookies” to customize your browsing experience. Cookies created on your computer by using our web sites do not contain personally identifiable information and do not compromise your privacy or security. For services requiring online financial transactions, DeKalb County uses the Secure Sockets Layer (SSL) encryption protocol to safeguard your sensitive personal information, including your credit card number. Information is encrypted from your computer to the portal computer processing your request. Revisions to this Privacy Statement will be posted to this location with the last date of revision. Our goal is to provide all services to customers in an accurate, efficient and friendly manner while maintaining their privacy. 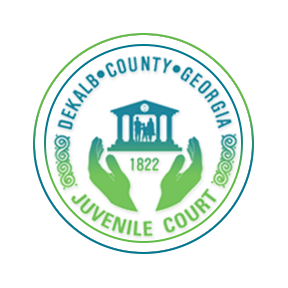 If you have comments or questions regarding privacy, please contact us at piojuvenile@dekalbcountyga.gov. DeKalb County, Georgia makes every effort to ensure the accuracy of its Web pages, however, it is possible that some errors may occur when inputting information from its original source. Therefore, the information provided herein is without guarantee, warranty or representation of any kind whatsoever. Your use of and browsing in this Web Site are at your sole risk. In the case of any errors or discrepancies, including deadline dates for the submission of any materials, the official printed documents maintained in the various County departments and offices will take precedence. DeKalb County and its officials, employees and agents disclaim all liability arising out of your use of or inability to use the information contained herein. DeKalb County and its officials, employees and agents also assume no responsibility, and shall not be liable for, any damages to, or viruses that may infect your computer equipment or other property on account of your access to, use of, or browsing in the Site or your downloading of any materials, data, text, images, video, or audio from the Site.